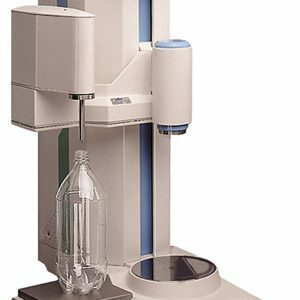 The Fill Height Syringe is a valuable laboratory tool that can save time and improve accuracy during container fill height and volume measurements. 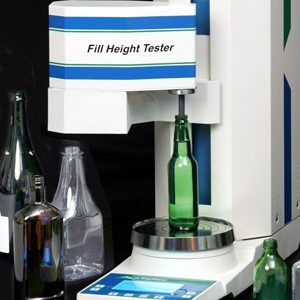 This device allows an operator to easily adjust the fill level of containers to be evaluated to a standard predetermined level. Using the adjustable gauge, an operator can simply set the depth of the pipette for the appropriate level. Excess fluid can then easily be drawn off to the end of the pipette. 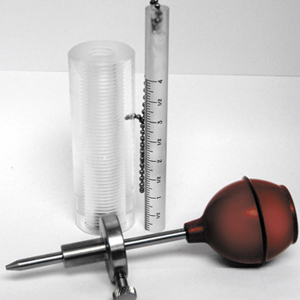 A thermometer is included for monitoring of water temperature.